It's been a long while since I've rounded up my Amazon purchases! Today I'm rounding up purchases that go back to late September! 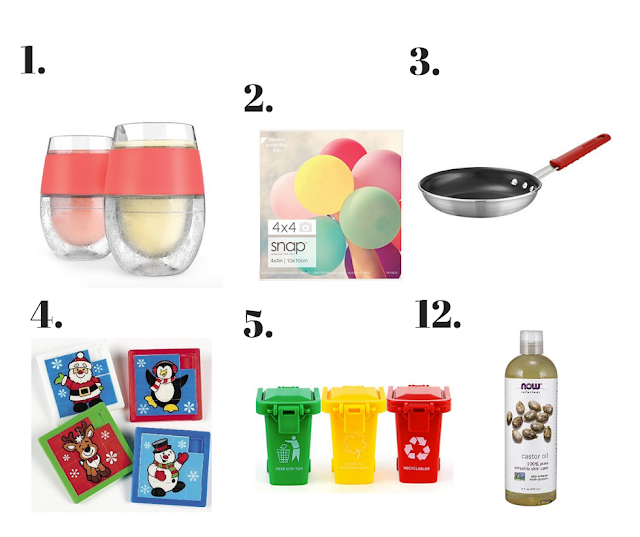 This isn't everything, because I buy a lot of little things for my business and I've purchased some gifts I can't share. I thought it would be fun to share the highlights. This post contains affiliate links. If you make a purchase from these links I will make a small percentage of the sale at no additional cost to you. 1. Freezer Wine Glasses - These are a repeat purchase. I own them, and I've given them as gifts. I bought more for gifts this year. If you like chilled wine I highly recommend them! 2. 4 x 4 Inch Frames - I actually bought these for my vendor display, but they would also be great for home. With how many square cropped pictures we have because of Instagram, they are handy! 3. New Pan - We have this pan in the 10" size and finally after our 12" pan "died" a few months ago, we finally broke down and bought a replacement. Russ read some reviews and this pan gets great ones. 4. Slider Puzzles - Do you remember these? Henry found a number one at Russ's grandma's house and loved to play with it, so he used part of his allowance to order up some more. 5. Toy Garbage Cans - These are going to be a stocking stuffer for Calvin. He loves machines and trucks and already has one of these that came with his garbage truck. He loves to play with it so I figured it would be good to have a few more. 6. Castor Oil - I've been trying my hand at making bath bombs, and I used some grapeseed oil, but I'm going to try this for my next batch. 7. Bath Bomb Molds - Making bath bombs also requires molds. I like the variety of sizes in this set. 8. LOL Glam Glitter - This was on sale one day and it's been the one thing Wesley has been talking about for Christmas! 9. Pom Pom Curtains - Our office curtains needed an update, so I found these. They are sheer, but I'm okay with that. I'm on the hunt for some new curtains for our bedroom too, but I will want black out ones. 10. Glitter Reusable Straws - I bought these for a tumbler I was giving as a gift. 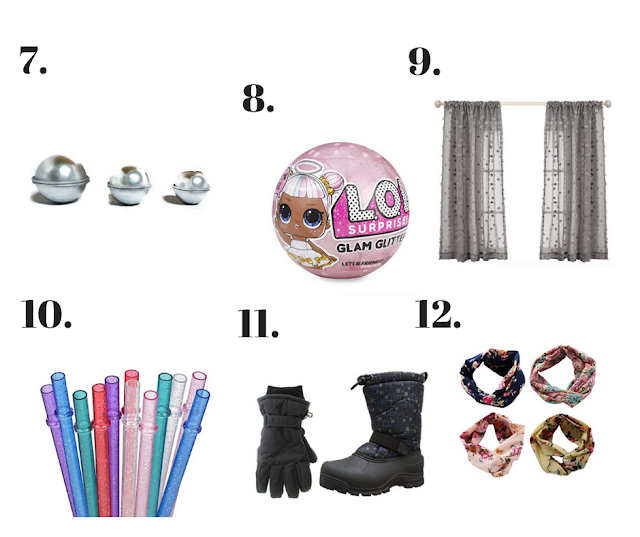 I loved the glitter look, and the pack was plentiful meaning we have some to use at home. I always like to drink from a straw. 11. Boots and Gloves - Henry needed new boots for this winter. I ordered these in two sizes and had him try them on, then with free returns I sent back the pair we didn't keep. Saved a trip to the store! 12. Headbands - I bought some of these as gifts and kept one for myself. I always like to keep my hair out of the way when I wash my face. 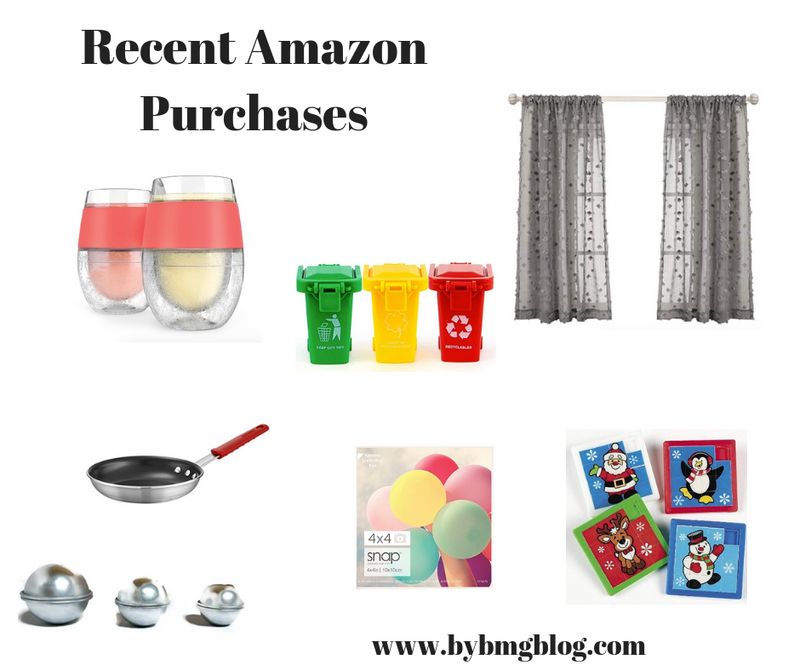 What have you bought off Amazon lately?